Results of the Maryland Department of Natural Resources 2017 young-of-year striped bass survey in the Chesapeake Bay shows the fish is reproducing in strong numbers. The annual survey’s index is 13.2, above the 64-year average of 11.7. Striped bass, popularly known as rockfish, is Maryland’s state fish. The fish spawns in the Chesapeake Bay and its tributaries each spring. The survey is conducted annually to track the reproductive success of this important species and help predict future abundance. 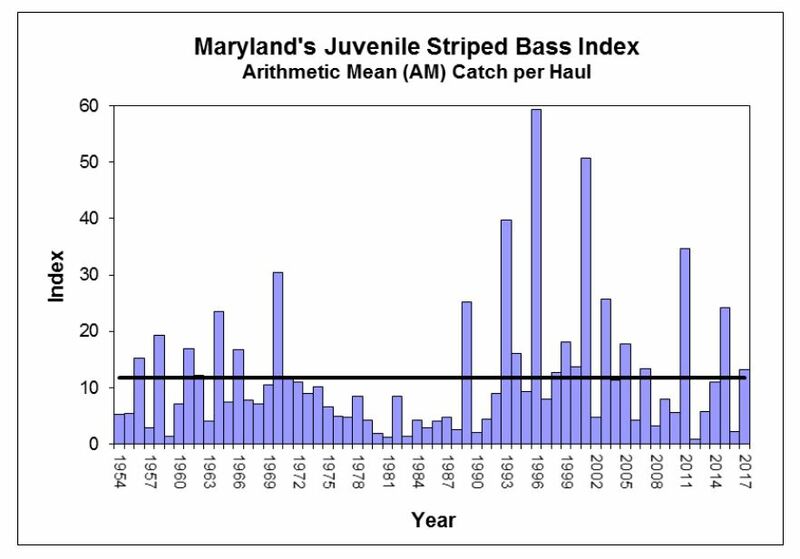 The index represents the average number of young-of-year striped bass – those less than 1 year old – captured in 132 samples. “Strong reproduction in three of the past seven years is an encouraging sign for the coastal population and future fishing opportunities,” Fishing and Boating Services Director Dave Blazer said. During this year’s survey, department biologists collected more than 33,000 fish of 62 species, including 1,741 young-of-year striped bass. The most productive area surveyed for rockfish was the upper Chesapeake Bay, their largest spawning area. 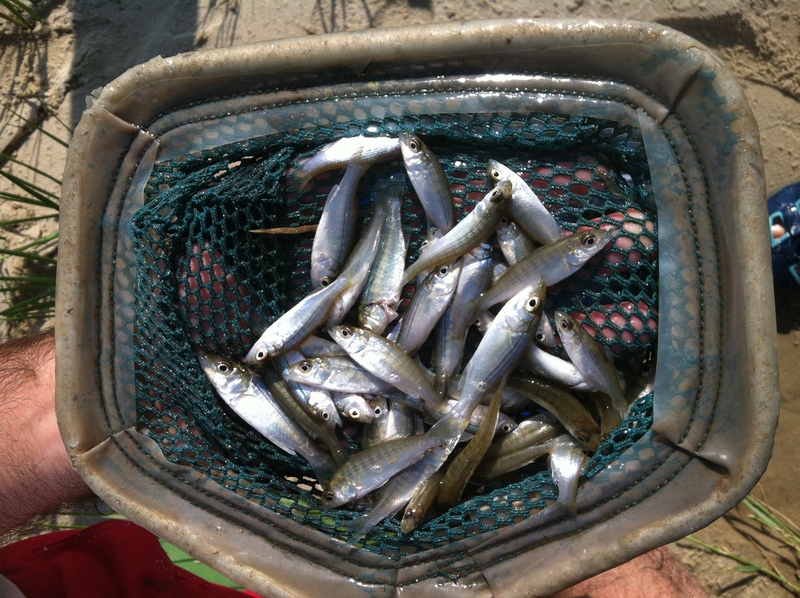 Results of this year’s survey also showed high white perch reproduction in the upper bay and Nanticoke River. Additionally, the survey found American shad reproduction was above average, primarily due to its success in the Potomac River. The department has monitored the reproductive success of striped bass and other species in Maryland’s portion of the Chesapeake Bay annually since 1954, making it one of the oldest biological surveys. Twenty-two survey sites are located in the four major spawning systems: Choptank, Potomac and Nanticoke rivers and the upper bay. Biologists visit each site three times during the summer, collecting fish with two sweeps of a 100-foot beach seine. More information on the juvenile striped bass program is available online.